In medium bowl, mix all ingredients except cheese, chiles and flatbread pieces. Stir in cheese and chiles. Cover; refrigerate 2 to 4 hours to blend flavors. Serve with flatbread pieces. 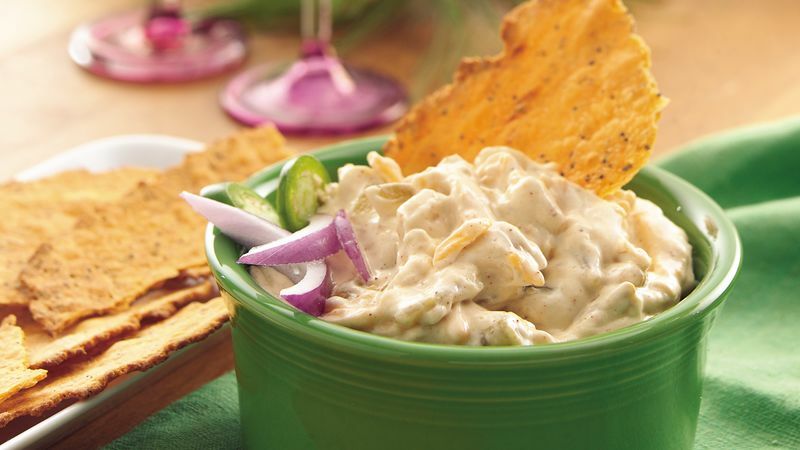 To reduce the fat and calories in this creamy dip, use reduced-fat mayonnaise and reduce the amount of cheese to 3/4 cup.